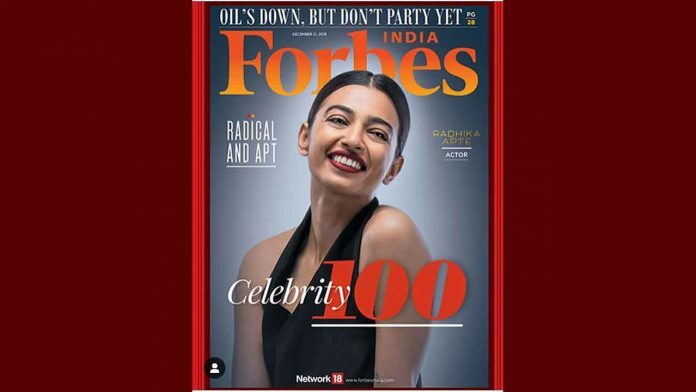 'Radical And Apt' Radhika Apte Graces The Cover Of Forbes India! Home BOLLYWOOD ‘Radical And Apt’ Radhika Apte Graces The Cover Of Forbes India! Next articleSajid Nadiadwala And Wardha Nadiadwala Return From Their Late Anniversary Celebration!